Written exam will be objective type and subjective type for all categories of the posts. total 3 hours will be given for attempting the question paper. So if you want to qualify this examination focus on essay writing in Hindi and English in at least 500 word and in a very less time. Computer typing speed 40 word per minutes in Hindi and English. 35 marks for interview test. 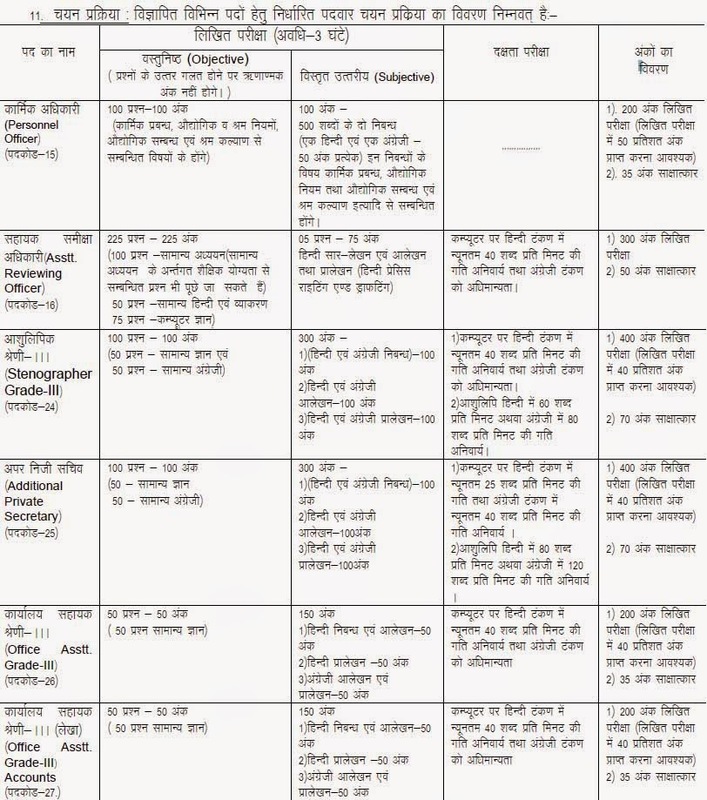 Download syllabus and pattern for all other posts in Image file.